The SudburyROCKS!! 1km Run is FREE ENTRY! Bring out the little ones (12 and under) to this fun family event on an accessible course. This event runs at a different time than the 5K and 10K so parents can accompany their kids and still take part in their race. 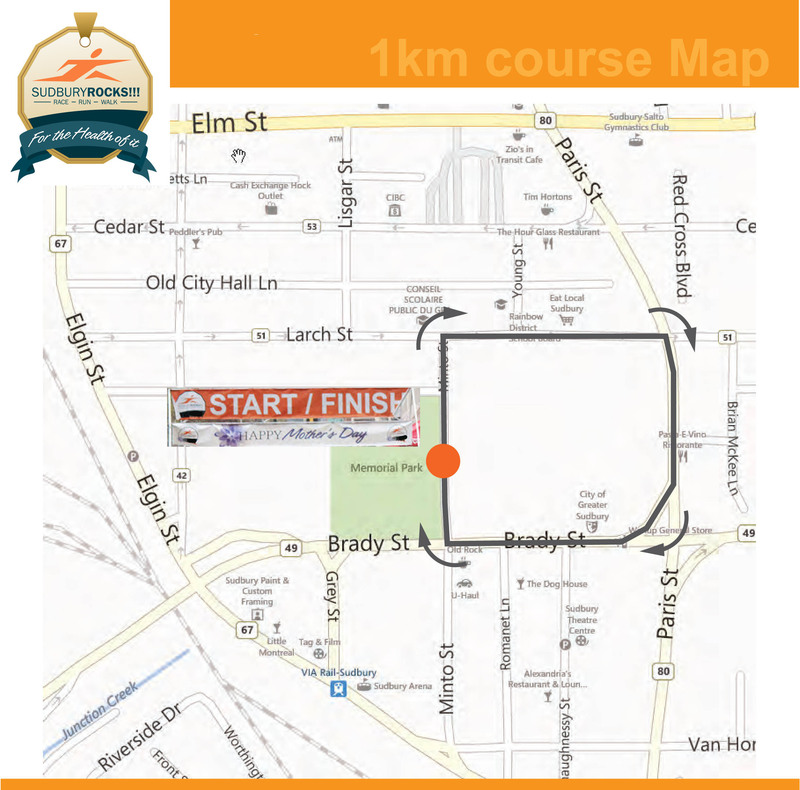 Course Time Limits: Participants must be able to complete the course in 15 minutes. This will allow organizers time to prepare for the upcoming events. The SudburyROCKS!!! Race - Run - Walk is once again offering a Mascot Challenge. Race, Walk or Waddle your way in the 1K kids event. If you have a school, group or business mascot that you would like as part of our Mascot Challenge, please email sudburymarathon@hotmail.com to confirm your attendance! Come show your community spirit, cheer on participants and strut your stuff to the finish line!